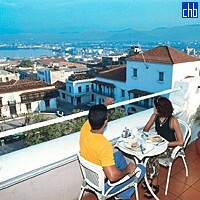 If you want great views & the attractions of central Santiago de Cuba on your doorstep, you should stay at Hotel Cubanacan Casa Granda – particularly if you enjoy lively nightlife. However, this hotel should also appeal to anyone who enjoys lazy afternoons in the sun watching people pass by. 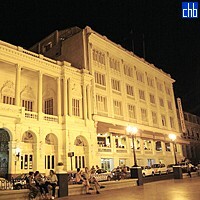 The colonial Casa Granda is the most striking hotel in the area, despite an exterior that blends architectural styles. Arguably the greatest assets of this century-old building are the stunning views provided from its roof & ground floor terrace, which overlooks the square so is perfect for people-watchers. These are great places to enjoy food, drink & music. Meals on the roof terrace are a perfect way to enjoy balmy evenings, with magnificent views of the cathedral, sea & mountains beyond. There can also be few more serene experiences than watching the sun go down beyond the mountains, drinking cocktails & listening to live Latin music. 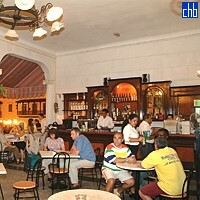 Hotel Casa Granda’s bars serve good drinks & snacks, while its restaurant provides quality international & Creole cuisine, served by attentive & very friendly staff. Its location also means you won’t struggle for choice nearby, not only for food & drink but also in the wealth of attractions & entertainment by day & night. 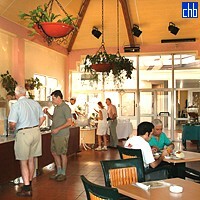 The streets can be noisy with salsa music well into the early hours so this hotel would not suit light sleepers. Casa Granda is a great choice if you want to experience everything Santiago de Cuba has to offer, particularly if you want to enjoy the vibrant city’s nightlife. Those wanting easy access to its cultural attractions should also enjoy this stately old hotel, though shorter stays are recommended for those with low tolerance to noise. 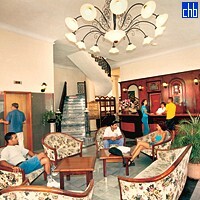 Hotel Cubancan Casa Granda was previously known as Hotel Gran Caribe Casagranda. Hotel Casa Granda’s standard rooms have a fridge, satellite TV & good air-conditioning. 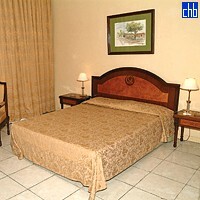 They are clean, tastefully decorated & generally well maintained, with maids frequently leaving charming towel art. The rooms are comfortable but the exterior noise by day & particularly at night should be taken into account by light sleepers when booking.